If Barack Obama’s idea of ending the occupation in Iraq is to transfer most of the troops to Afghanistan, he won’t have accomplished much. He’s right that we should not be in Iraq, but we also shouldn’t be in Afghanistan. Our sole interest in Afghanistan should be to get Osama bin Laden. After that, we should bring our guys home. It’s none of our business what kind of government Afghanistan has or if it even has a government. In case you’ve forgotten, the northern warlords seized Kabul after the Russians left. Their looting and brutality caused many Afghans to look with favor on the young men of the Taliban. The Taliban whipped the warlords and began to rule the country with their iron-fisted version of Islam. It’s no mystery why they extended a welcome to bin Laden. He had played a prominent part in the fight against the Soviets. He was a wealthy young man and could easily have spent his time in the world’s best resorts. But he picked up a rifle and his checkbook and fought against the Russians. 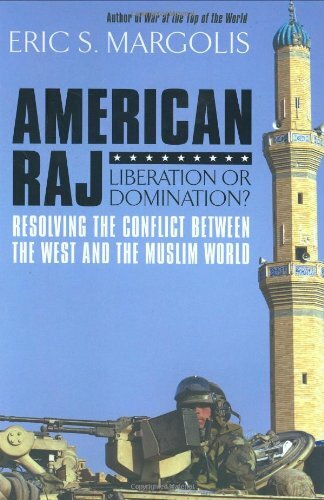 American Raj: Liberati... Eric Margolis Best Price: $4.71 Buy New $20.55 (as of 08:20 EDT - Details) So when the Bush administration demanded that they hand over bin Laden, the Taliban refused. It was in part a matter of hospitality. The laws of hospitality in that part of the world obligate you to defend your guests. The Taliban didn’t have a chance. The country had been in a state of war for nearly two decades, and much of it was just rubble salted with land mines. We bribed the warlords to provide the ground troops while our air power, guided by Green Beret or Seal spotters, bombed the bejeebers out of them. The Taliban had no air defense. It was all over pretty quickly, except for two big flubs. 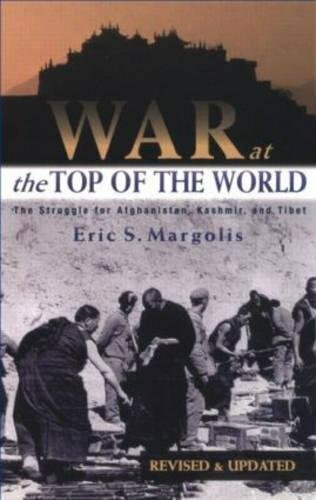 War at the Top of the ... Eric Margolis Best Price: $1.45 Buy New $3.57 (as of 09:15 EDT - Details) The leader of the Taliban escaped, as did bin Laden. By then, the Bush administration had turned its attention to Iraq and Saddam Hussein, who had no truck with terrorists or with the attack on the U.S. Saddam supported the Palestinians in their struggle for independence, but he disliked the Syrian government and hated the Iranians. Nevertheless, the Bushies were determined to invade Iraq, and consequently both the Taliban leader and bin Laden remained free. And they are still free. The kernel of this nut is that the people who planned the attack on the World Trade Center and the Pentagon were inconvenienced but not punished. In the meantime, President Bush’s obsession with Saddam cost 4,000 Americans lives and landed us in a quagmire. Now, five years later, the Bush people are wringing their little hands that the situation in Afghanistan has gone to Hades, and in typical American fashion, both Bush and Obama seem to think the only answer is more troops. It’s funny, in a morbid sort of way. Bush was wood-post ignorant of Iraq, and apparently Obama is wood-post ignorant of Afghanistan. The Afghans are a people who rather enjoy fighting. It’s been said that if they run out of foreigners to fight, they will fight each other. It would take more troops than we have to occupy Afghanistan, which is about the size of Texas. It is run by the warlords and is a major producer of opium. Corruption is rampant. Obama needs to be forced to come clean and spell out in specific detail exactly what he wishes to accomplish in Afghanistan and how much blood and treasure he’s willing for the American people to spend to get it. He needs to be forced to tell the American people what, if any, benefits they will get in exchange for the lost lives and tax dollars. Obama is younger, smarter and better educated than John McCain, but that said, he is your standard political liberal and opportunist. Swapping one quagmire for another is hardly a brilliant foreign policy. Charley Reese was a journalist for 49 years, reporting on everything from sports to politics. From 1969—71, he worked as a campaign staffer for gubernatorial, senatorial and congressional races in several states. He was an editor, assistant to the publisher, and columnist for the Orlando Sentinel from 1971 to 2001. He wrote a syndicated column which is carried on LewRockwell.com. Reese served two years active duty in the U.S. Army as a tank gunner.